Whether you want to print and hand apply your GHS labels or you want the processes to be fully automated, FOX IV has a labeling solution that right for every application. 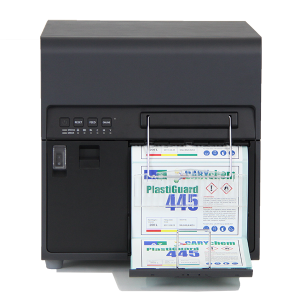 Print full color as well as two color GHS labels with the Swiftcolor Color Label Printer. With a combination of the Swiftcolor Pigmented Ink systems and GHS approved label stock, the Swiftcolor can print GHS and BS5609 labels in up to 1200 dpi print resolution. Pigmented ink units are available in both 4″ wide and 8″ wide print widths. 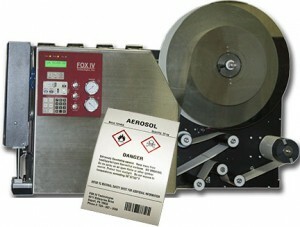 Optional label roll unwinders and rewinders are available. This option is good for manual label application as well as rewinding labels for use on label applicators. Another option for manual labeling or pre-printing for label applicators is to purchase labels with the red diamonds already printed on the label and over-print the variable label information using a thermal transfer printer. All major brands of thermal transfer printers are available from FOX IV as are the pre-printed label stock and thermal transfer ribbons. 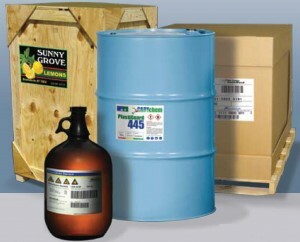 Utilizing a FOX IV Label Applicator, printed GHS labels can be automatically applied to pallets, drums, boxes or bags. 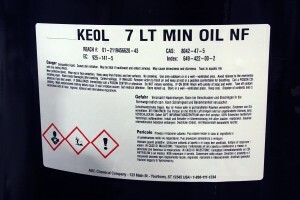 Even large labels can be applied – up to nearly 9 inches wide. 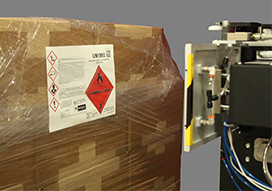 To fully automate your GHS labeling, look to FOX IV’s two-color print and apply solution – the Tandem II™ Label Printer-Applicator. The Tandem II incorporates two print stations – one for printing the red diamonds and another for printing the balance of the information in black. The Tandem II features dual Zebra print engines, Allen-Bradley PLC controls, and up to a 6″ print width. Another GHS labeling automation option is to use a regular FOX IV print and apply labeler to print the variable information onto a label with the red diamonds pre-printed. 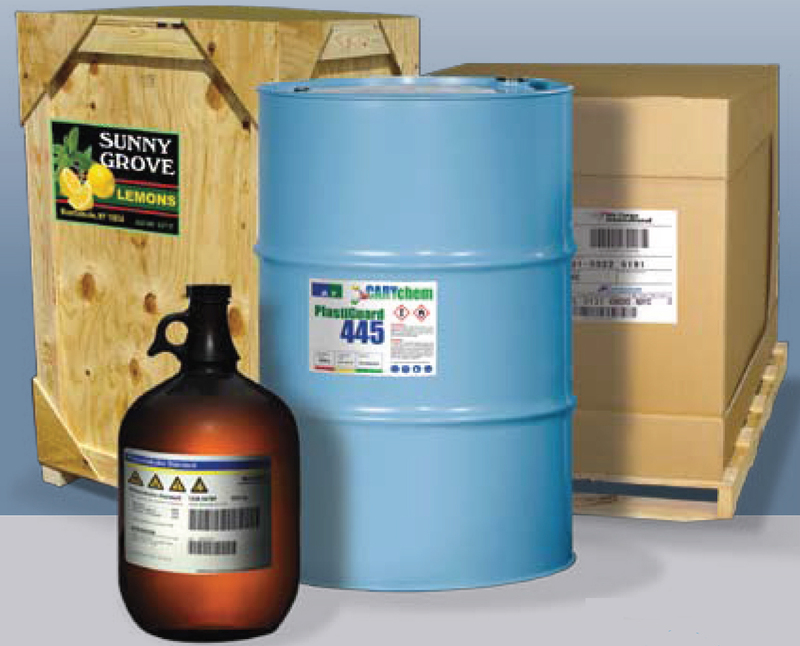 Any of FOX IV’s many print and apply systems can be used to achieve this type of GHS labeling. As a full service label converter and expert in print and apply labeling, FOX IV can provide GHS certified labels and ribbons as well as GHS pre-printed labels.